You have probably been the victim of a cold caller. A salesman from a company you’ve never even heard of, calling at an inconvenient time, trying to sell you something you don’t need. If it were an email, you would mark it as spam. We know how annoying (and not to mention dated) this unhelpful, interruptive, sales-driven method is. So we have adopted a new approach. It’s about what you NEED, not what we offer. Salesmen, especially cold-callers, are not driven by your needs. If they can sell you something and earn a commission, they will. Simply put, salesmen are driven by their own need to make a sale. But it’s not about what THEY offer – it’s about what YOU need. And what you need is not being sold unnecessary products. What you need is to build your own future and not to help pay for someone else’s with unnecessary commissions. After all, it’s all about you, not them. It’s about pull, not push. Times have changed and so have buying habits and behaviour. We recognise that you need access to the very best information, which is why we share our knowledge and expertise with you, our investors and subscribers, at every opportunity. We recognise that you need access to the very best service, which is why our advisers follow the UK qualification framework and we are unreasonably picky about our people. Finally, we recognise that you need access to the very best prices, which is why we favour passive investments and ensure we are transparent about any charges, so as to not hinder your returns. We also offer you access to a range of high quality funds from leading asset managers at discounted prices. You are reading this because you are a valued client or you have, in one way or another, found us through our blog, signed up to our newsletter, sent us an enquiry directly, or found us through the Internet. We know that you are looking for solutions, and we are here to help you arrive at well-informed financial decisions. It’s about WHY we do it, not what or how. Well, that’s not the right answer. Put simply, our ‘why’, is YOU. Our success is intrinsically linked to yours, we are motivated to help you live the life you want, before it's too late! To help you identify, achieve and maintain your desired lifestyle without ever running out of money whatever happened. To help you understand 'YOUR NUMBER' - to help you accumulate it, manage it, protect it, and most importantly, ENJOY IT! Before it's too late. 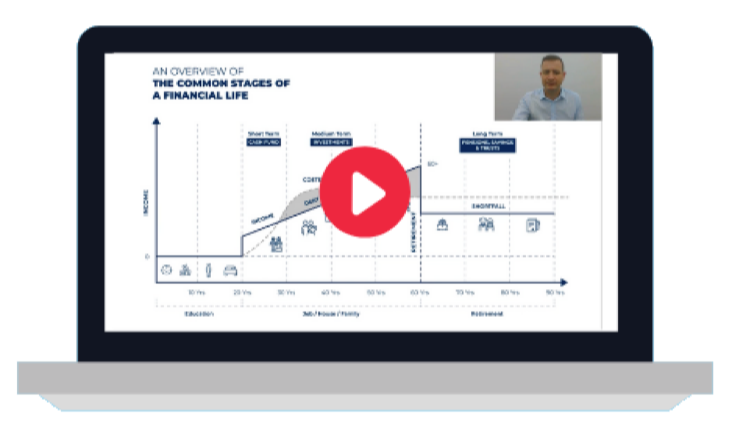 You need the peace of mind that you can trust your financial planner, especially in a marketplace that has, for so long, been plagued by mistrust. So next time you speak to a salesman, ask them why they do what they do, and if their ‘why’ is focused on themselves, think twice. You need someone who is evangelical about you. You don’t have to be sold to just because. 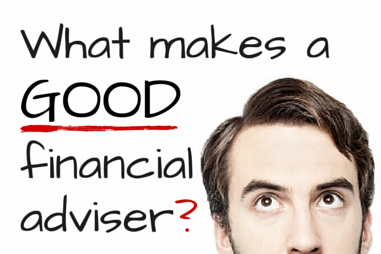 And that's what makes a good financial adviser.